2017 Holiday Gift Guide: For Toddlers. 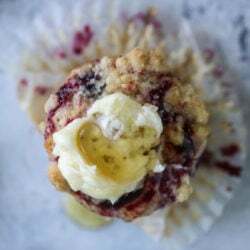 Here’s a list of everything that Max has been loving since our toddler gift guide last year, with a few repeats because they are THAT loved. And there are a few things here that we’re going to get for him too! I’d love to hear more toddler gift suggestions from you! Melissa and Doug Water Wow Books. Max has loved these books for a few years now and he is still so excited whenever we bring one out. We always take them to restaurants or places where he might have to sit for awhile and they are a huge hit. Lightning Mcqueen Scooter. This is one of the gifts we’ve bought Max this year (with a super cool matching McQueen helmet, haha!) and I’m so excited about it! Every time he sees a toy catalog or we walk through Target, he gets so excited when he sees scooters. Jellycat Stuffed Toys. These are our all-time favorite stuffed animals. They are so super soft and fluffy and light. They also have adorable books that go with them. Patagonia Hi Loft Down Sweater Hoody. If you live in a cold/snowy climate, this is the best coat EVER. It is so light but still warm. Max’s lasted for two seasons and it’s the best puffer I’ve found that isn’t hugely, well… PUFFY, at the same time. If that makes sense. Color Wonder Markers. Another thing that we don’t go places without! The color wonder markers only work on the color wonder paper, but that also means they don’t get all over your walls, tables and furniture. Janod Wooden Firehouse. I love these Janod wooden toys! This is what we are going with this year. Hanna Anderson PJs. If you follow my baby page at all, then you know that these are the only PJs Max really wears! They are the best quality and hold their quality after washing – and they almost stretch while the kids grow. They always have sales on these so never buy at full price! Thomas the Tank Engine Coaster. My brother got this for Max last year and it has been one of his favorite toys all year. It’s so fun to watch him use it now because he can completely control it. So adorable and fun. Food Truck Playhouse. Yes, any tent or fort is applicable here, but my foodie brain is freaking over the food truck that pottery barn kids has this year. Max does not need another one of these at all… so can I just get it for myself? Play Cash Register. Last year we got Max a kitchen but failed to get a cash register – and he is OBSESSED with them. He loves when he is somewhere that has one and thinks it’s a lot of fun to “check people out.” Definitely getting one this year! Projector Nightlight. This is the nightlight we bought when we did Max’s big boy room. It has different slides so different scenes come up on the wall. He loves it. Radio Flyer 3 in 1 Trike. Pretty sure this is the third year in a row that I’m mentioning this, but it remains one of his favorite toys. He loves to “go on walks” in this. Melissa and Doug Make a Meal Sticker Pad. My sister-in-law brought this for Max when Emilia was born and he LOVES it. It’s so fun to build meals! Babiators. You probably know that these are our favorite sunglasses and the best ones ever – they never break! Well, ours haven’t broken and Max has a few pairs. They stay on and he loves wearing them too. Aden + Anais Dream Blanket. Our favorite blanket forever! So thick and warm and soft. Melissa and Doug Train Table. This was one of Max’s gifts last year and he plays with it daily. It’s probably his favorite thing in our house! life with emilia: two weeks in. Hello, I really love this idea. It is so cute and different. I would like to do these as Christmas gifts this year. Is there any possible way you can make a gift tag saying I just want to TEAL you Merry Christmas in the same font in the teal color? I would greatly appreciate it. Thanks so much. Yes to all the above (says a mother of 3 under 5). BUT also you NEED a micro mini scooter (my toddlers can keep up on my 3 mile runs on these!) and a plasma car (most used toy in our house!). 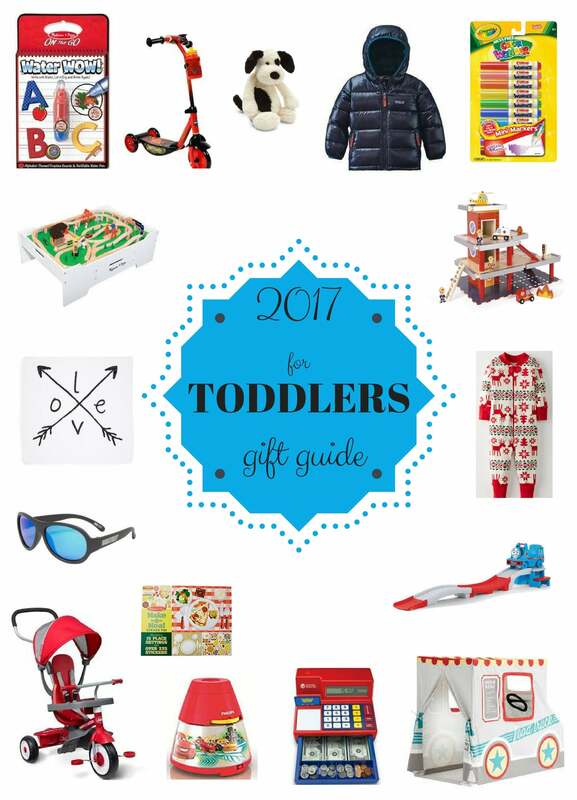 I love this gift guide and your posts on your favorite baby/toddler items. It has been so helpful in buying things for my nephew, who is about the same age as Max. I hope you do more baby favorites with Emilia! Great ideas! I’m eyeing that scooter for mt two year old- SO cute! This is great! Omg, how cute are these things. I’m shopping for my little nephew this year and now I’ve got all kinds of great ideas! Thanks for sharing! I give everyone with a toddler the water wow pads or the truly magic markers that only work on certain paper. Will have to look at the train table! Great ideas! Fisher-Price has a really cute food truck out this year too! I love gifting the play tents, I’ve used this company’s several times and they’ve been great to work with. And they have some black Friday sales as well!